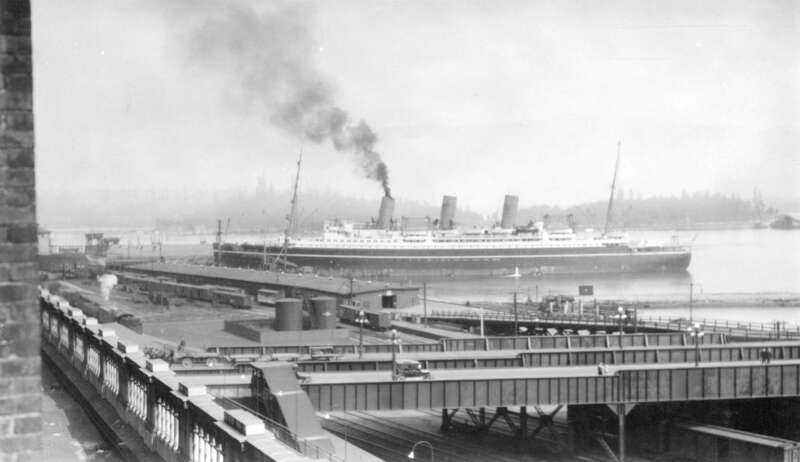 Photograph shows a CPR steamship moored at Pier "A" Section 2. View is looking west from the third CPR station. Image includes the Granville St. viaduct, frieght shed, and the foundation of Pier "B/C".